by Maddy S., Teen Blogger from Northeast. I have been preparing for this moment for months. Countless hours practicing; a thousand mistakes corrected; breaths and fingerings; rests and downbeats; they chisel this performance to perfection. Like a sculpture, all smooth curves and sharp angles. My foot taps the dusty floor to a rhythm only I can hear. The rest of the orchestra stands behind the curtain with me. We hold out instruments with tapping fingers, waiting for our turn to perform. Waiting. Waiting. Waiting. This is agonizing. The lights on the stage are extremely bright. They come from all direction, making odd shadows by my feet and chair legs. The sound of rustling pages, squeaking chair legs, coughing, adjusting, is everywhere. Lights shift, and now I can’t see the audience. This feels like an interrogation. Everything is silent, waiting. Waiting. Waiting. Waiting. This is agonizing. Our conductor saunters onstage to a meager smattering of applause. It is hot in this auditorium and no one is that excited for their son or daughter’s middle school end-of-year performance. Sadly, we in the band know this. My shirt is too tight and did I mention it’s really hot and now my hair is coming loose from its ponytail and we are all just waiting. Waiting. Waiting. Waiting. This is agonizing. The conductor turns to us, in an exaggerated way that is the cue to lift our instruments up. We do so. I imagine it looks like a wave from the audience, with a few ripples from the people who aren’t paying attention. They get elbow-nudges from stand partners. The baton hovers in the air. A few prep beats. Breathe, and—everything lifts away. All I can hear is music. All I can feel is my instrument–we move together, weaving a story in a universal language. There is no before and there is no after. I do not have anything to think about except now and this music, this story, this sound. I know the people around me; we have gone to the same school for a long time now. Some I have known since elementary school. We are classmates, friends, supporters, allies, confidants…but that feeling of unity is more intense now. It feels like we are hearing the music for the first time again, because it is also the last. We are hearing all the parts as one because it will never be so again. After this, we are all going to different high schools. We will lead our separate lives, play out different stories. But for now, in this moment, we are all playing the same story. We know it by heart. Bouncing, moaning, flitting, pounding, tip-toeing, screaming, whispering…this is music. Not notes, rhythms, not even practicing. Music is how you play it. How you feel it in the soles of your feet and your neighbor’s too. Music is an emotion. We receive a standing ovation at the end. This entry was posted in Music, Read This!, Teen Powered, Writing and tagged creative writing, short stories, Writing, written by teens on October 28, 2014 by Teen Blogger. Editor’s Note: Camilla, a 19-year-old intern at 826 Seattle, has selected some excellent work that 826 students are producing this summer to share with us on Push To Talk. Camilla’s Note: This piece is from a long-running collaboration with the Puget Sound Goat Rescue. Students went on a field trip where they met and observed the goats, and later turned those experiences into talk show—style interviews. This is one of those interviews. INTERVIEWER: Hello, everybody! 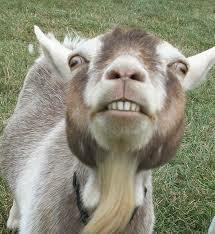 Today, I am proud to present to you Scooby, the first goat on Mars! SCOOBY: Thank you, everybody, thank you! The applause fades, then ceases. INTERVIEWER: We understand NASA sent you to test soil and atmosphere on the red planet. How was it up there? SCOOBY: Peaceful. But no alder leaves to munch on, and no one to play with. INTERVIEWER: Was the launch scary? SCOOBY: Very! When the engines launched, it smashed me against my seat. When we where breaking the atmosphere, it heated up like a frying pan, and rattled like a rattlesnake. When we reached space, the gravity change threw me into the air and my horns got stuck on the ceiling, and it took me ten minutes to get out, and even longer to repair the ceiling! But that’s the way it goes. SCOOBY sighs; it sounds like a bleat. INTERVIEWER: Exciting! Did you send out any space probes? SCOOBY: Five, but only four came back. Whistling noises begin, then the sound of an explosion. Sirens start. SCOOBY: Oh, there it is! Well, I need to go to lunch! INTERVIEWER: It’s been nice having you here. SCOOBY: It’s been nice being here. Goodbye! This entry was posted in Teen Powered, Writing and tagged 826 Seattle, 826Seattle, animals, drabbles, fiction, short stories on August 28, 2014 by Teen Blogger. Editor’s Note: Camilla, a 19-year-old intern at 826 Seattle, has selected some excellent work that 826 students are producing this summer to share with us on Push To Talk. We’ve divided this story into two parts; the second was posted yesterday. Camilla’s note: This was from a Viking Saga workshop, in which students each created a character and completed writing challenges as that character in a journal format. This saga is able to present a complete story arc with an engaging heroine, and it left me wishing for a sequel. After many days of sailing, we caught sight of a beautiful island of white sand. The foolish King Horic was paying us to discover new lands. This was perfect! It was a blur of blank white waiting to be built on. We sailed closer. Suddenly, pieces of the island started to split off and drift towards our ship. They were white stags, creatures legend to eat bits of the nine worlds. There were millions of them. They had just started to tear our ship apart when two of Astrid’s sheep leapt off the ship and chased them away. The sheep rode white stags at the end of the pack. They bit and kicked until the stags were just dots on the horizon. We never saw those sheep again. Astrid had bragged about her amazing fighter-sheep before, but I had never believed her. “Why didn’t you tell them to fight back in England?” I asked. 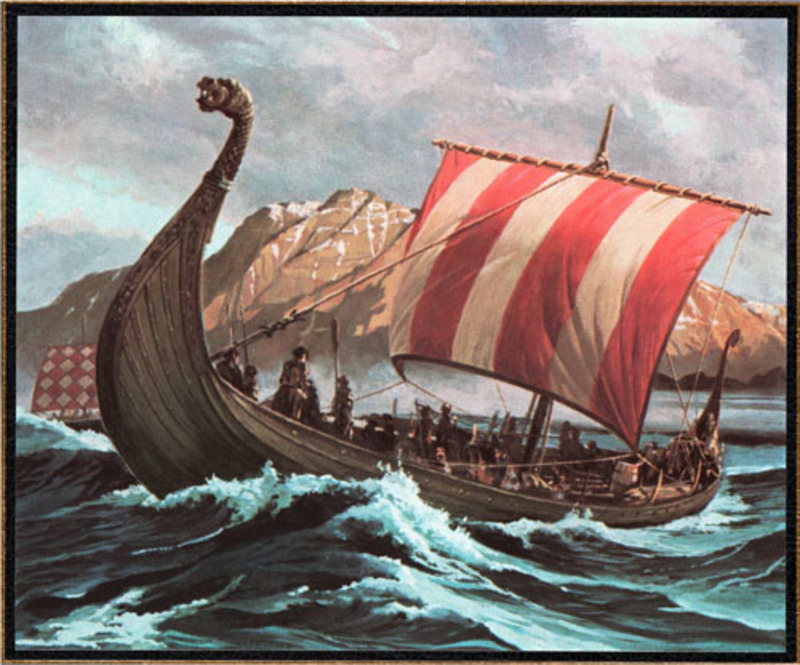 This entry was posted in Community, Teen Powered, Writing and tagged 826 Seattle, creative writing, fiction, short stories, vikings on August 15, 2014 by Teen Blogger. Editor’s Note: Camilla, a 19-year-old intern at 826 Seattle, has selected some excellent work that 826 students are producing this summer to share with us on Push To Talk. We’ve divided this story into two parts; the second will be posted tomorrow. I am Vor Jarlswife the Fearless, or at least that’s what I have the crew of Sheepscry thinking. I am Vor, that’s true at least, but Jarlswife? Fearless? They think I come from northern Finland, a place I’ve never seen. I do not even know if there is such a place as Sharkbridge, though these people here would never consider that their wonderful Vor the Fearless could really be a liar. I still feel the sting of the nettle field against my feet and the ache in my legs from months of walking. They can’t see that though. The Norwegian king, Horic, has asked me, the pretend Jarlswife from a pretend village in Finland, to lead a voyage to explore the west. The news of my “husband” and me has spread to very far away. No one minds that we have black hair and look so different from anyone else around here. That was taken care of when I told them that we had visited Asgard, their land of the gods, and that their King God, Odin, had given us our beautiful black hair as a gift. They ask us many questions about what we saw in their Asgard. This entry was posted in Community, Teen Powered, Writing and tagged 826 Seattle, creative writing, fiction, short stories, vikings on August 14, 2014 by Teen Blogger.